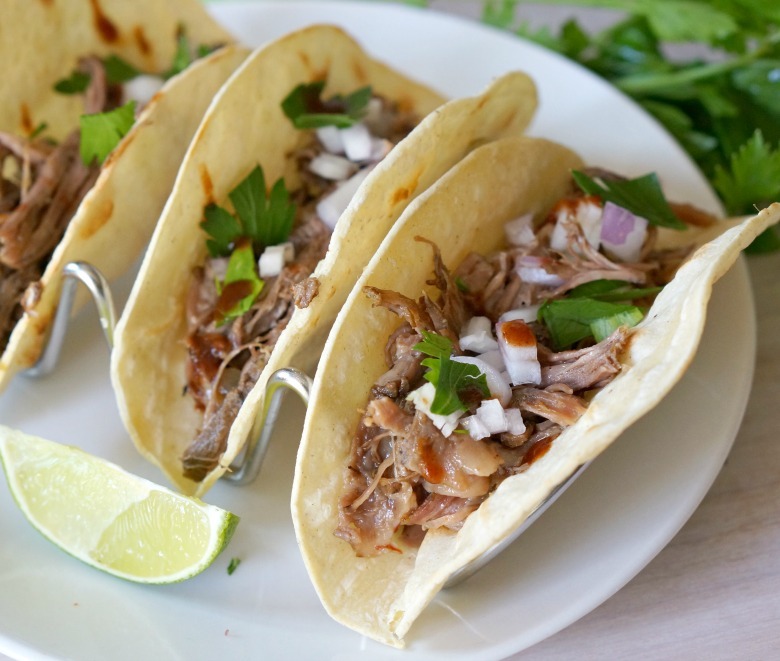 Our Slow Cooker Beef Barbacoa recipe is so good, you’ll never want tacos any other way! 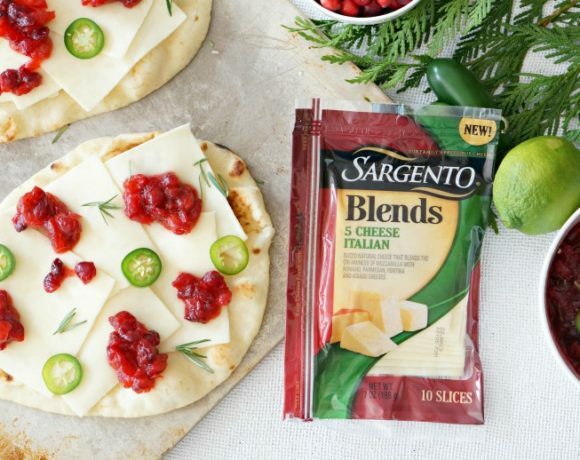 Make extra because the leftovers can be used in soups, casseroles, pasta dishes and more. Are y’all over winter like I am? Come on spring. 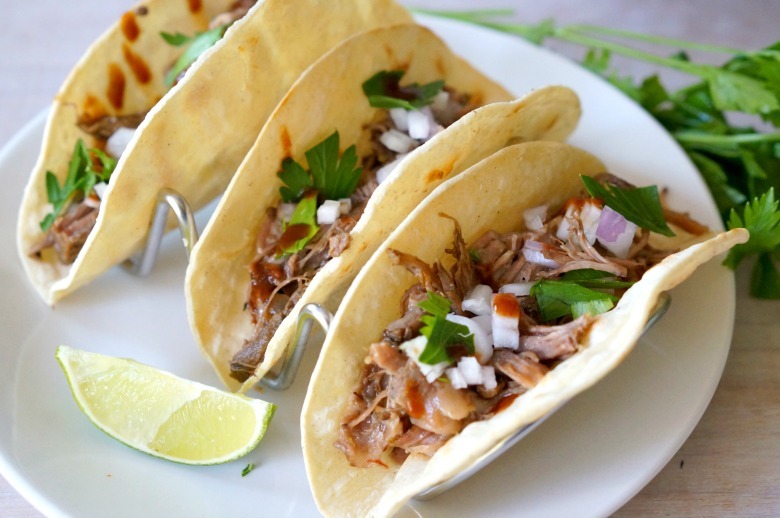 There’s nothing I wouldn’t love more than to have these Slow Cooker Barbacoa Beef tacos on the patio with some cold margaritas and chips and queso. Alas, it’s still January. But, I’m still gonna have some tacos. And margaritas. And maybe some queso. It’s just gonna be inside. The only bonus there is that I get to enjoy the aromas from the kitchen while the slow cooker makes this beautiful meal for me. 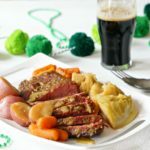 If ever there was a prep and forget it recipe, this is it. 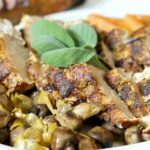 You can use any pot-roast style cut of beef, or mix it up with pork or chicken. 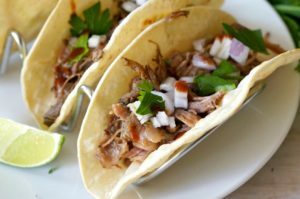 For crispy barbacoa beef, instead of returning the meat to the slow cooker after shredding, spread it out on a baking sheet and place under the broiler for a hot minute before serving. 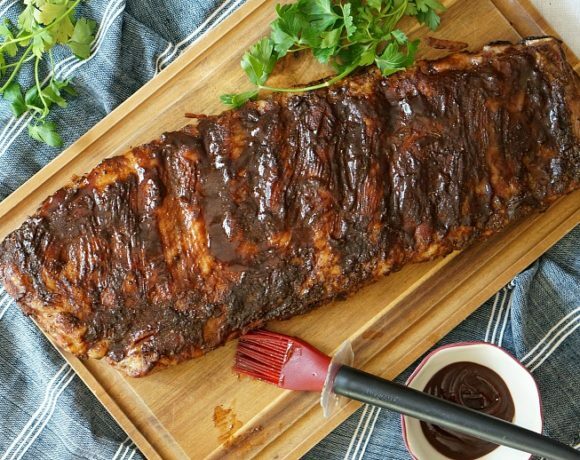 Just drizzle some slow cooker drippings over the meat once it’s done crisping under the broiler. Combine all of the ingredients in the slow cooker. Cover and cook on low for 7-8 hours, stirring once or twice during the cooking process. 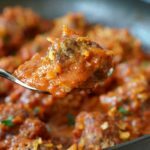 Once the meat is for tender, remove the beef from the slow cooker and shred with a fork. 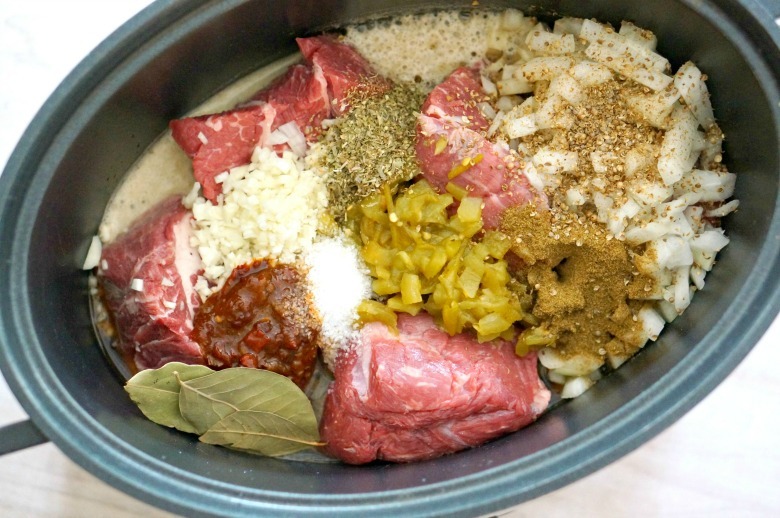 Return the beef to the slow cooker and cover. Cook for another 15-20 minutes on low. 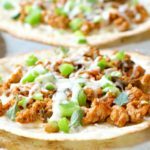 Serve with tortillas and toppings or refrigerate and use in soups, casseroles, pasta sauces and more. 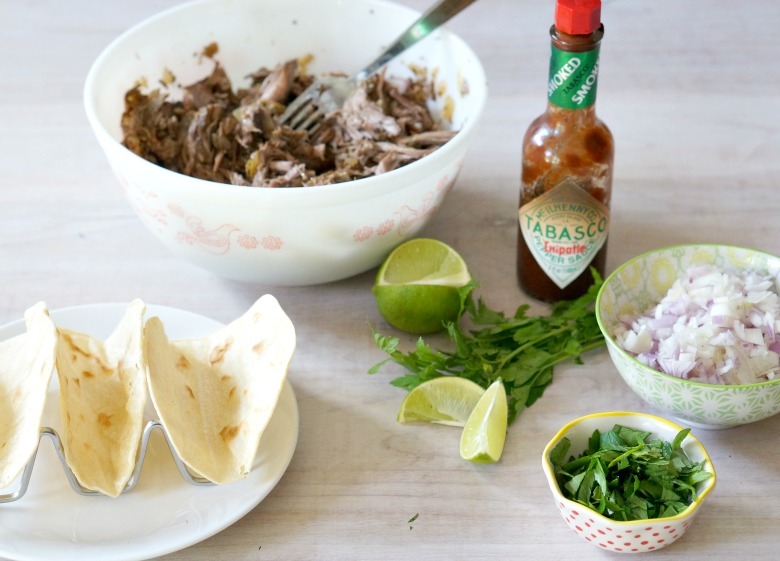 Our Slow Cooker Beef Barbacoa recipe is so good... you'll never want tacos any other way! 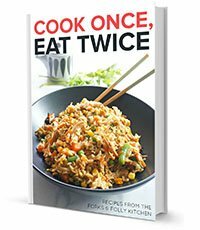 Make extra because the leftovers can be used in soups, casseroles, pasta dishes and more. 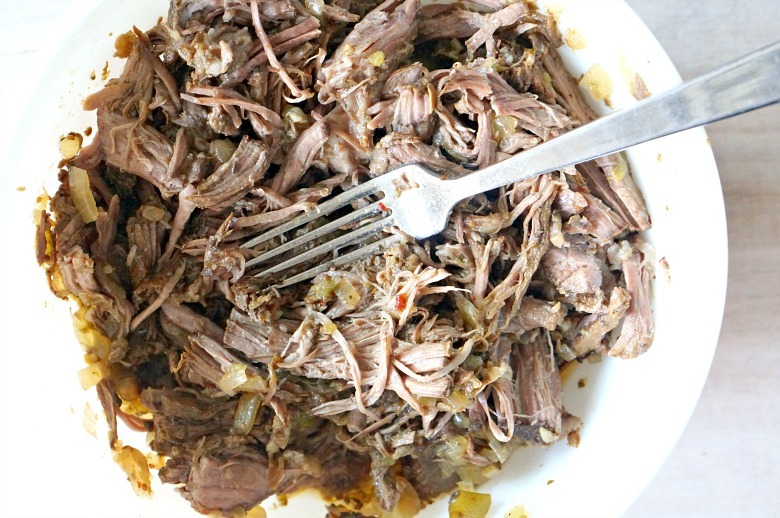 Once the meat is for tender, remove the beef from the slow cooker and shred with a fork. 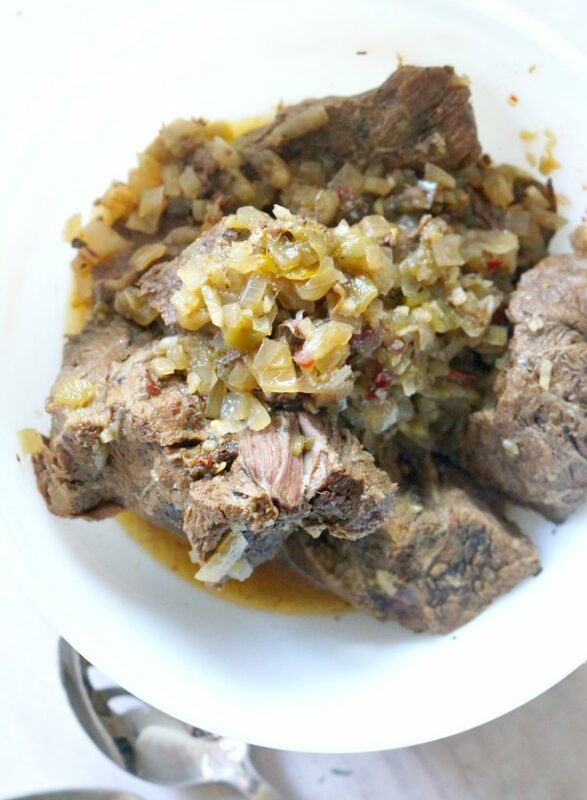 Return the beef to the slow cooker and cover. Cook for another 15-20 minutes on low. Round out your next Taco Tuesday with these Spicy Pineapple Margaritas and this super amazing Spicy Beer Queso! what can be subbed for the beer? any kind of broth or stock will do!